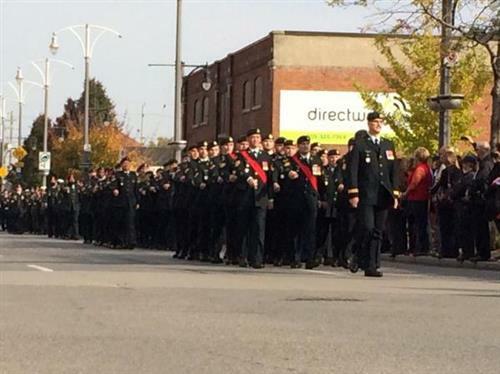 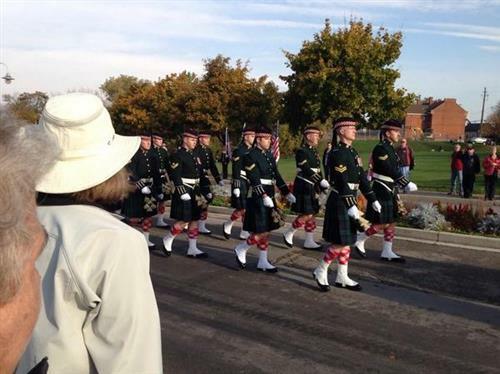 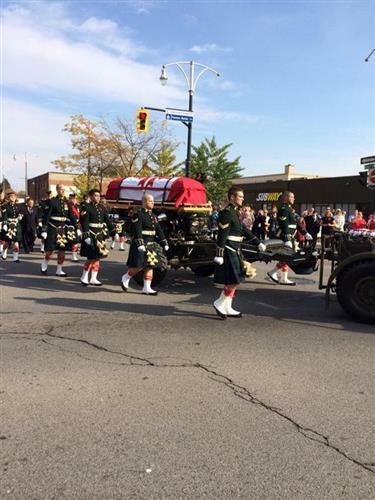 Live updates as a funeral is held in Hamilton to honour Cpl Nathan Cirillo, gunned down while standing guard at the National War Memorial in Ottawa last week. 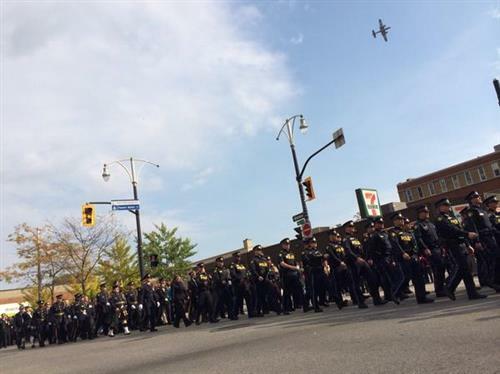 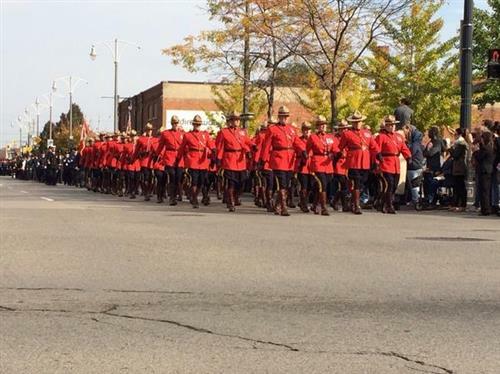 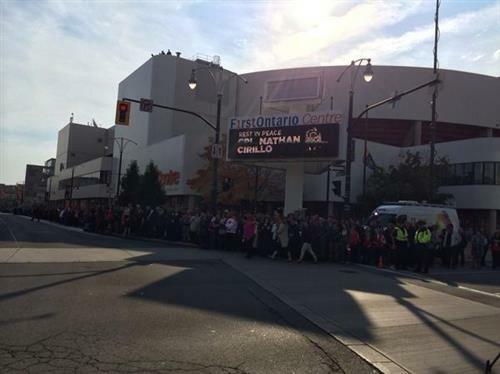 4500 people are marching in Cpl Cirillo's funeral procession, were only expecting 1000 initially. 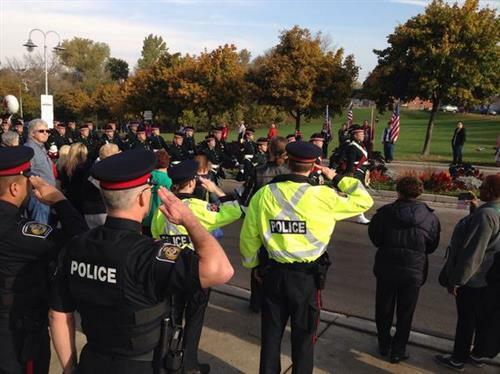 Tremendous turn out. 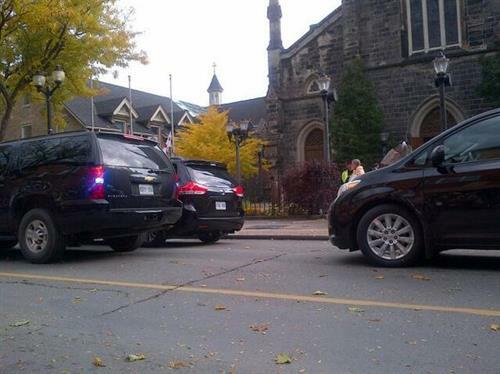 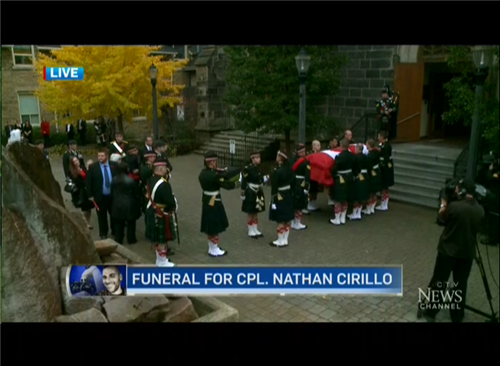 You can hear bagpipes as Cirillo's casket is carried toward the entrance of the church. 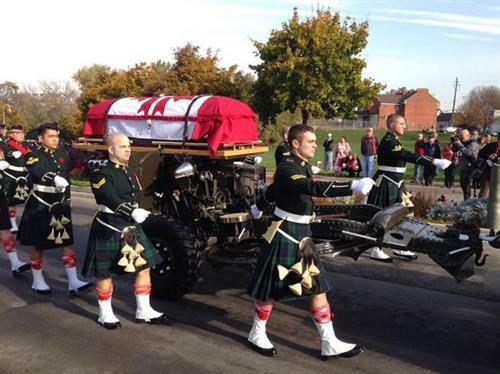 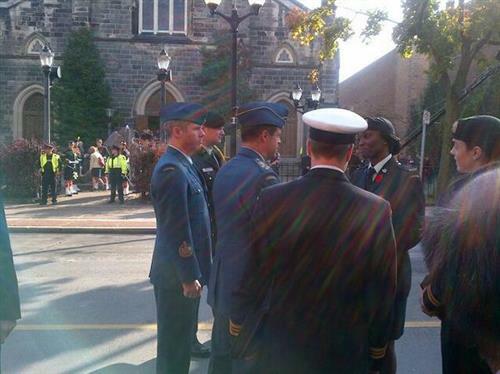 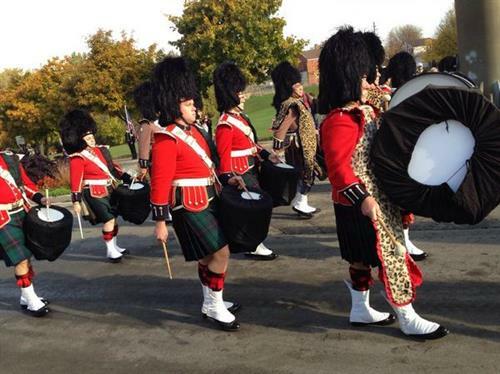 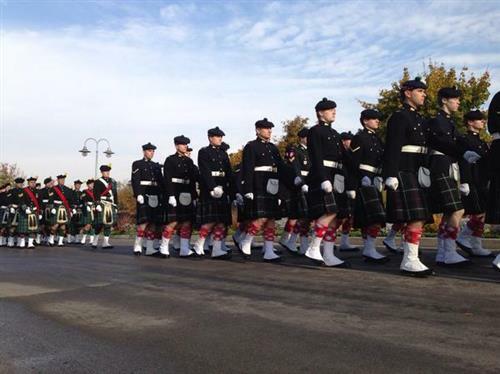 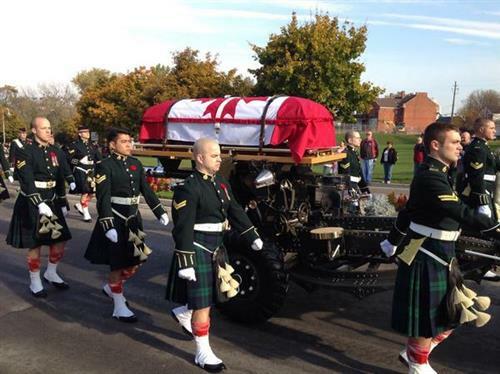 Sight of Cpl Cirillo's little boy walking inan Argyll's headdress is the most heartbreaking sight.